Use of the human A549 CDX model is vital for discovery of novel cancer therapeutics. 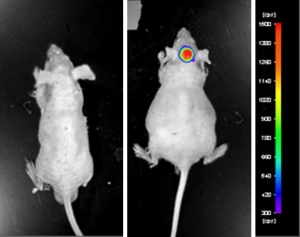 The ability to monitor tumor growth delay in vivo mimics the typical clinical endpoint and is an important estimate of antitumor effectiveness. The A549 subcutaneous CDX mouse model is commonly used in preclinical tumor growth delay studies, including lapatinib as a monotherapy (reduction in angiogenesis), or combination therapies of erlotinib and gefitinib (EGFR-targeted agents).